By Melissa Lennig on September 25, 2017 8 Comments. This content contains affiliate links. As an Amazon Associate I earn from qualifying purchases. 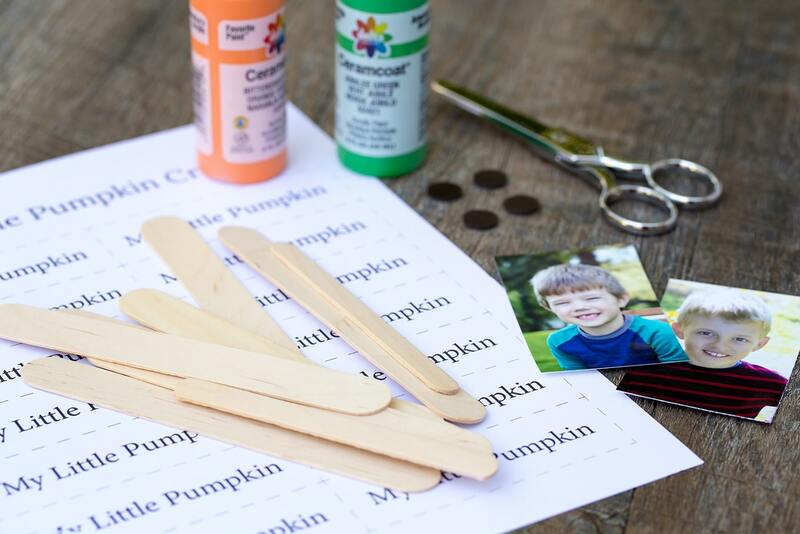 Inside: Just in time for fall, learn how to make an adorable popsicle stick pumpkin keepsake with craft sticks, paint, and glue. 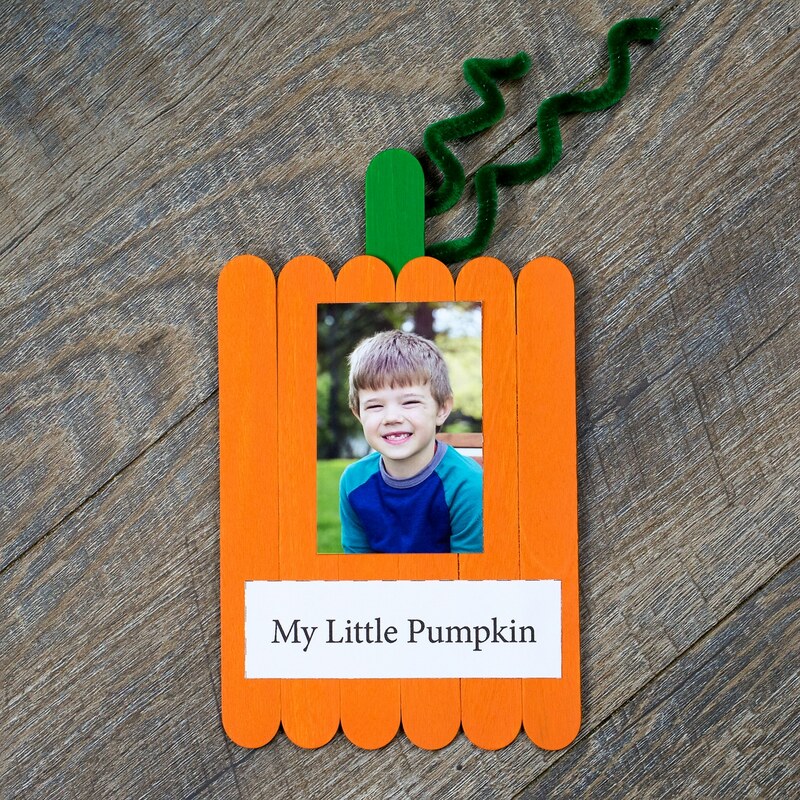 Our popsicle stick pumpkin keepsake is a fun DIY gift that kids can make for their loved ones at home or school. 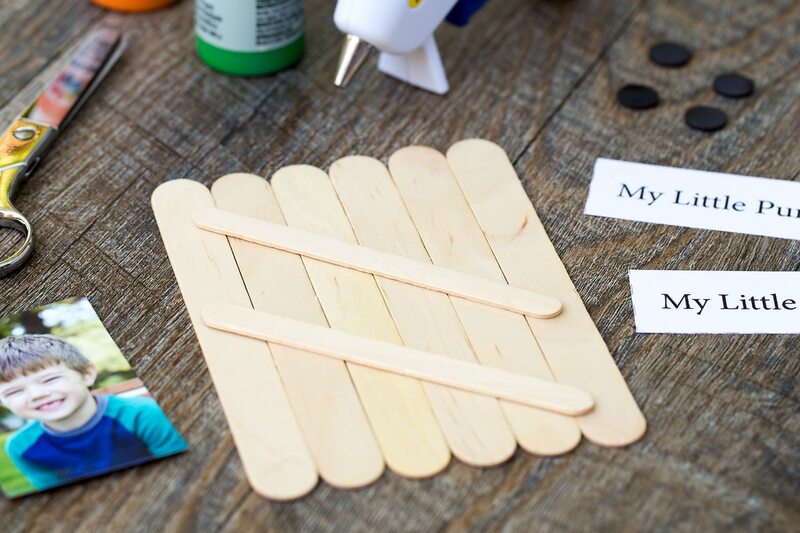 It requires minimal craft supplies and can easily be adapted to a large group of kids by working in stations or small groups. Do you have a little pumpkin? I have two, and they are growing up faster than I wish to admit. The keepsake crafts they’ve made me throughout the past seven and nine years are cherished. I hope they will continue making them…no matter how old they get! 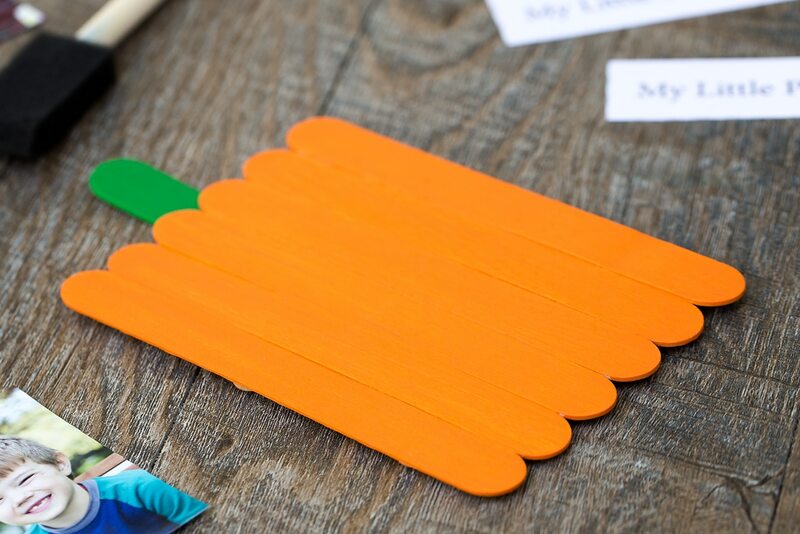 Older kids can make this popsicle stick pumpkin independently (my son began using a low-temperature hot glue gun when he was in kindergarten), but for the ease of making it with large classes of kids, I recommend prepping the wooden pumpkins. 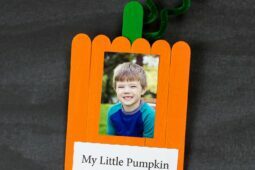 Just in time for fall, learn how to make an adorable popsicle stick pumpkin keepsake with craft sticks, paint, and glue. 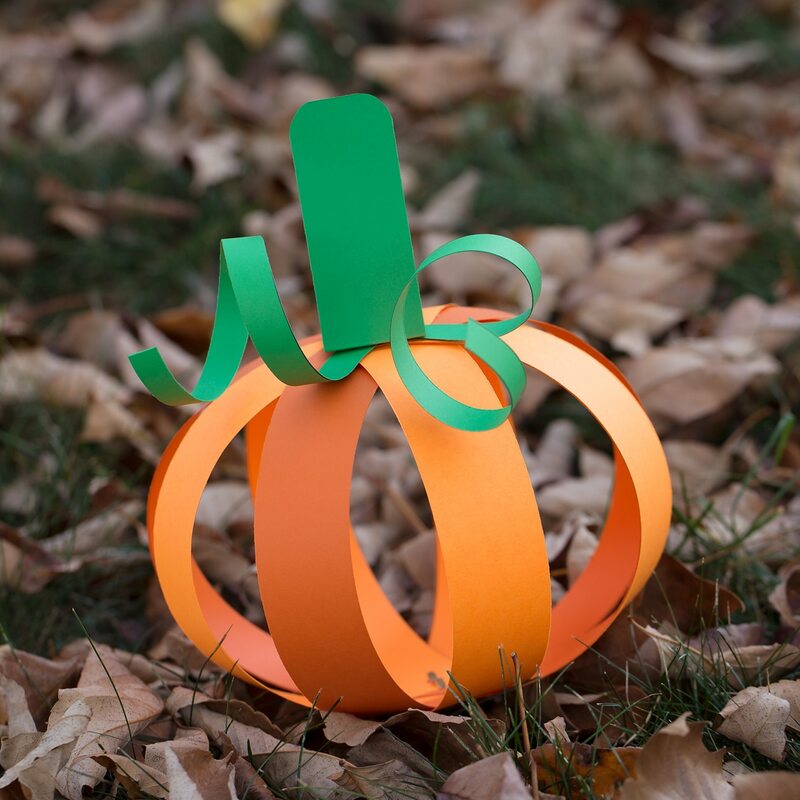 After gathering supplies, print the My Little Pumpkin Template. 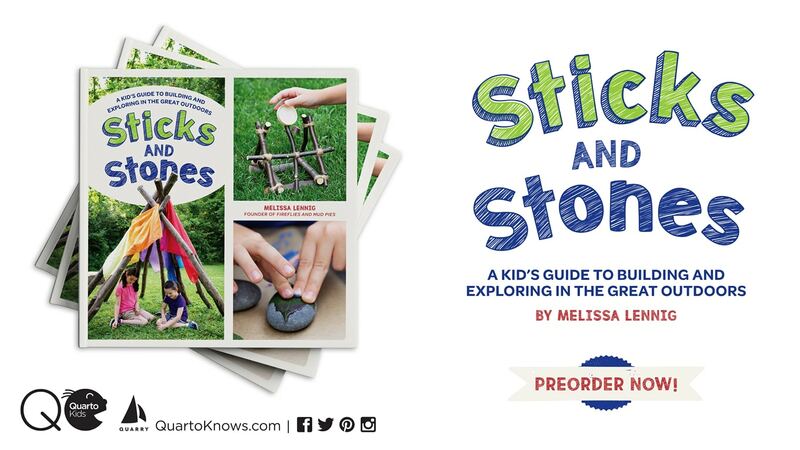 Next, invite the kids to line up 6 jumbo craft sticks. Glue 2 standard sized craft sticks on top of them. When the glue is dry, paint the front of the pumpkin keepsake orange. Next, paint one jumbo craft stick green. 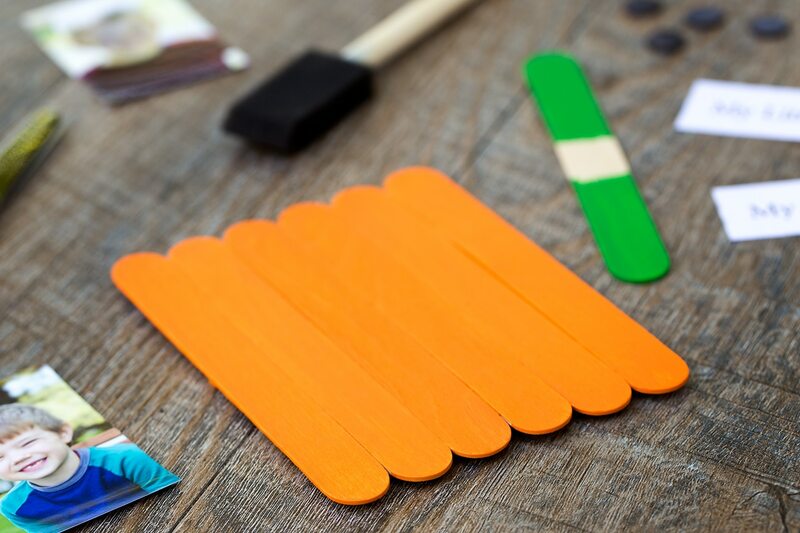 Allow the painted craft sticks to dry completely. Glue or tape the photograph and My Little Pumpkin words onto the front of the pumpkin. If desired, secure magnets to the back of the pumpkin. 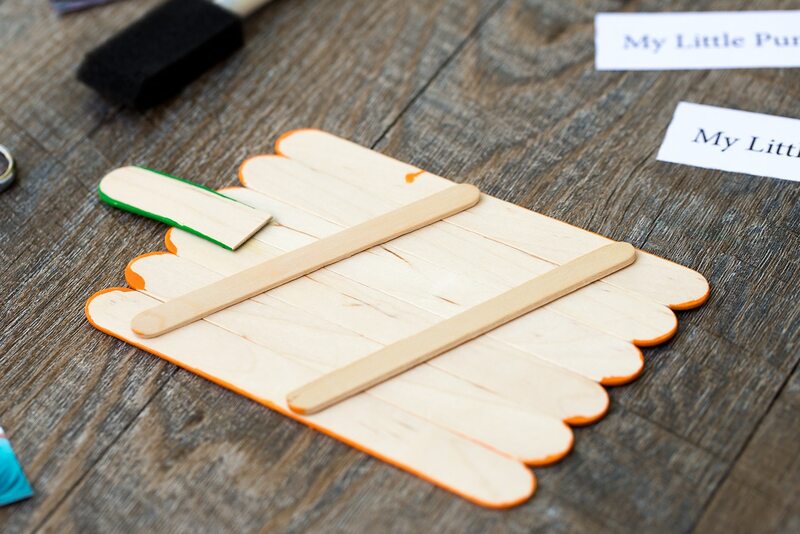 Your popsicle stick pumpkin keepsake craft is complete! 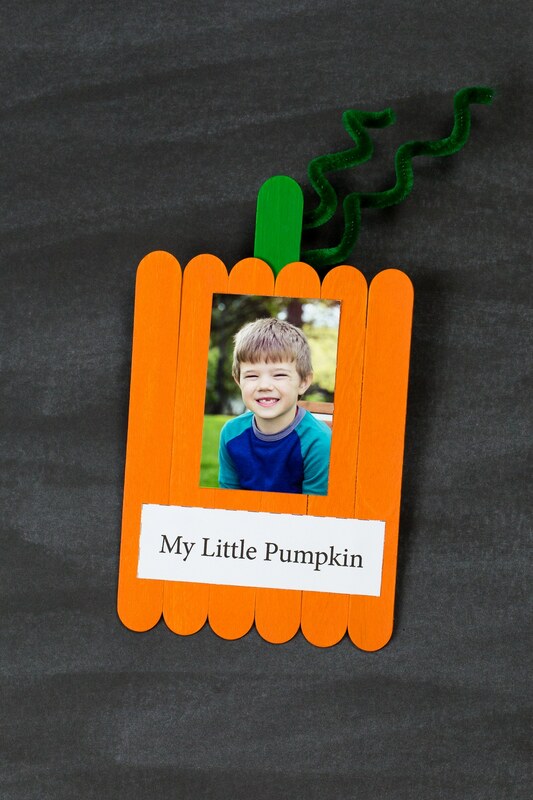 After gathering supplies, print the My Little Pumpkin Template. Use scissors or a paper cutter to cut out the rectangles. Next, invite the kids to line up 6 jumbo craft sticks. Glue 2 standard sized craft sticks on top of them. This will be the back of the pumpkin keepsake. When the craft sticks are dry, use the scissors to cut the green craft stick in half. 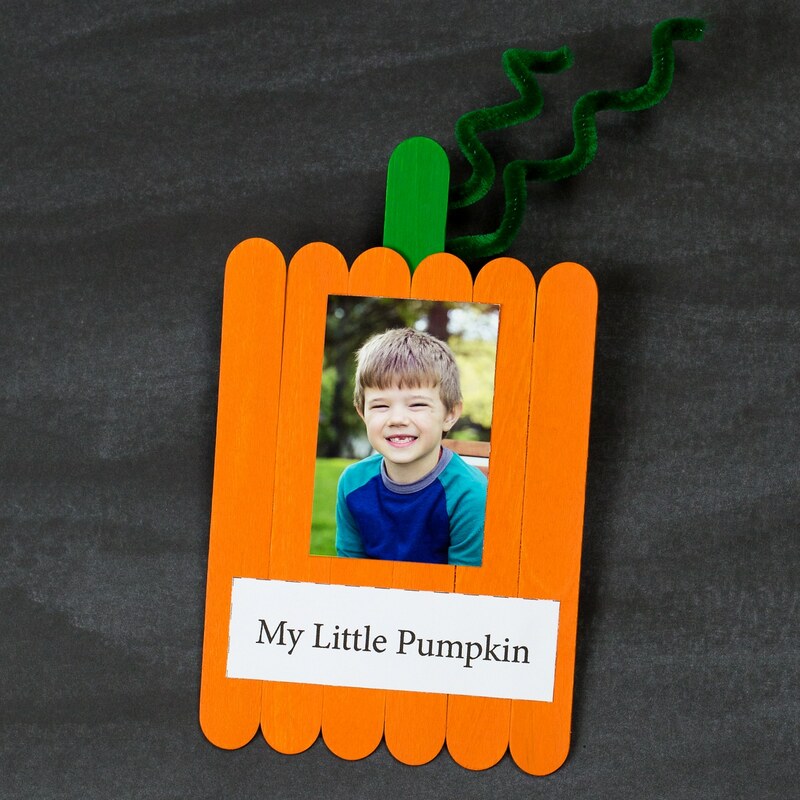 Then glue the green craft stick to the back of the pumpkin keepsake. Then invite kids to cut 1 pipe cleaner in half. 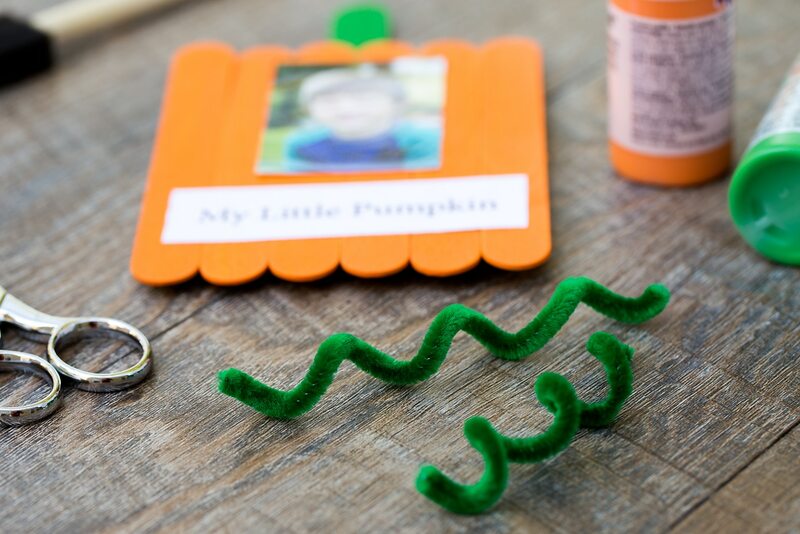 Twist the pipe cleaner around a pencil to create vines for the pumpkin. After that, glue the vines to the back of the pumpkin. Finally, if desired, secure magnets to the back of the painted popsicle stick pumpkin so that it can be hung on the refrigerator. Isn’t it darling? 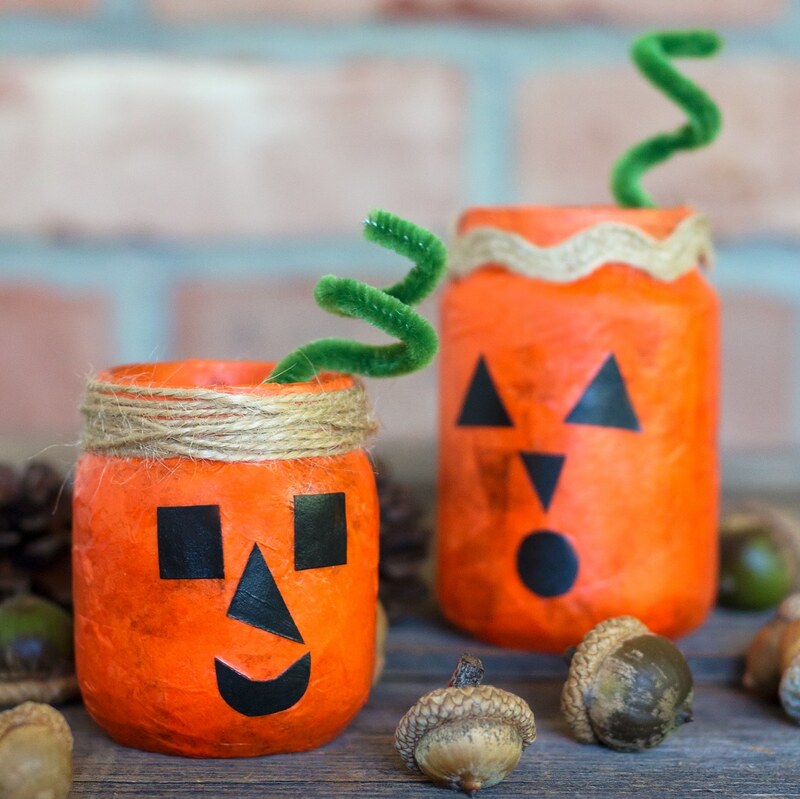 Perfect for kids to make after a visit to the pumpkin patch. Watch the video below to be guided through each step of this craft. You can view more easy kids craft tutorials on our Facebook Page, Teachers Pay Teachers Page, or right here on our website. 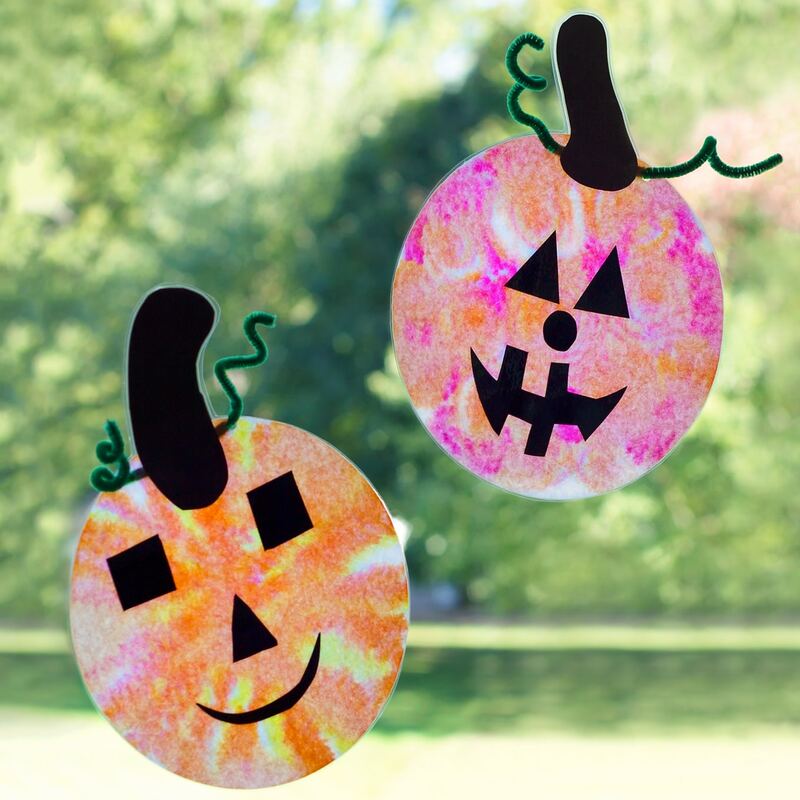 Click the images below to view more pumpkin crafts for kids. This is so cute…and it looks easy too! Thanks for sharing! So cute and easy! I need to make with my girls :). Thanks for the idea!